The first place winner for the contest is Living Daylightz, whose excellent rendition of a small portion of the classic Edo-period tale “The Legend of the Eight Samurai Hounds” (南総里見八犬伝) by Kyokutei Bakin (曲亭馬琴) made him stand out from the other submissions. This story is over 200 years old and is still popular in contemporary Japan. You can see more information about the tale on his blog here, where he has translated several chapters of this work. 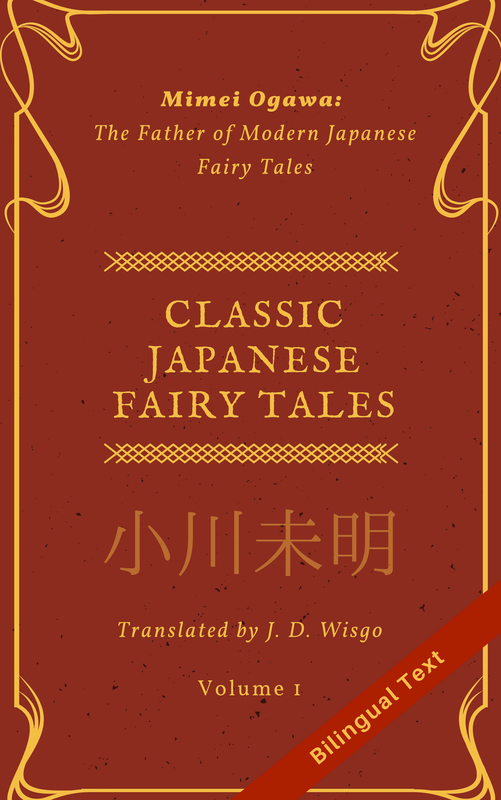 The second place winner is Jennifer O’Donnell, who submitted a skillful translation of a portion of the short story titled “The Professor of Magic” (魔法博士), originally penned by the famous author Edogawa Ranpo (江戸川 乱歩). She will be receiving copies of my two E-books (my translations of classic SF writer Juza Unno). You can find more information on her website here, or on Twitter at @JENTranslations. Winners will be receiving their prizes within the week. The primary judging of the entries was done by myself (J.D. Wisgo), but I did enlist the help of several native Japanese speakers to help with comparing translations against the original texts. In particular, Mr. Mizuhiro Kaimai was kind enough to help me with the comparison of “The Legend of the Eight Samurai Hounds”, whose 200-year old text is, to be honest, a bit challenging (I’m generally fairly comfortable with most texts after 1900, but Japanese from 1814 is a different animal altogether). To maintain fairness and objectivity, I judged all entries according to a series of four criteria in line with what was mentioned in the original contest details, using numerical values for each criterion. After I had a good general ranking of all the submissions, I went back and reevaluated the top three entries, reading with an even more discerning eye. I would like to give an opportunity for all who participated to get feedback on their submissions. I will be sending out emails to everyone asking if they would like feedback, and whether it is OK for me to convey it in the form of public articles on this blog that everyone can learn from. As part of those articles, I may include the entire translated content (even if I only comment on a portion). Each translator had their own strengths and weaknesses, but if I were to say one thing that was consistently in need of improvement it was editing. All of the submissions could have been benefitted from another round (or two) of editing in order to catch things like unnatural phrasing, typos, or punctuation errors, although there was a wide range of quality across the entries. Everyone who participated did a great job, and I think they should be very proud of what they accomplished. I hope that everyone continues to stay involved with translation in some way or another, whether that is via hobby projects or maybe even a career shift. I really enjoyed every aspect of this contest, and, time permitting, I hope to run another one in the next few months. I haven’t decided yet, but I hope to make the prize amount at least double of this time’s 1st prize, and am considering using a single passage/story for everyone to translate (instead of select-your-own). If you have any questions about this or future contests (or just want to express interest), feel free to contact me at “selftaughtjapanese.contests [at] gmail.com”.